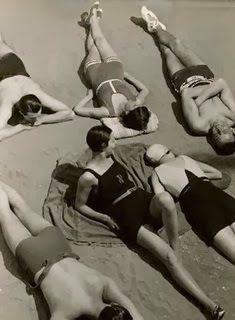 Can I just say that I must have been reincarnated from the 1920's 1930s, as I just adore the swimwear from this period. Not to mention the makeup and fashion. Perhaps I was a model for bathing suits, I'm sure I had a bob. And I'm also sure I would have rocked one of these bathing suits! Happy New Year from GlamourSplash!